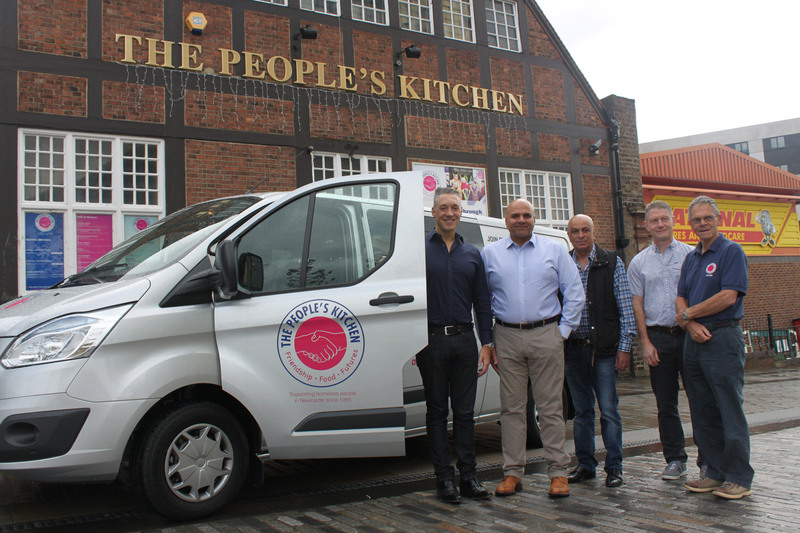 North East charity, The People’s Kitchen has received a new multi purpose vehicle that will transport volunteers around Newcastle so that they can help to feed the City’s homeless and vulnerable people. The new Ford multi purpose vehicle was donated by Seaham based business Kans and Kandy Group after seeing the work that The People’s Kitchen do at first hand. Founded in 1985, The People’s Kitchen has served on average of 40,000 hot meals per year to the city’s homeless and disadvantaged population and demand for its services has increased by 30% in the last five years. Everyone at The People’s Kitchen is an unpaid volunteer and donations from firms such as The Kans and Kandy Group are invaluable in helping to keep the charity’s commitments to their clients who they call their “friends”. The Kitchen provides three course hot meals, six days a week to 600 of the most vulnerable adults in Newcastle and surrounding areas. In addition friendship, clothing, showers, activities and outings are provided and outside agencies are partners in providing advice on finance, mental health, dental hygiene, housing and addiction. The People’s Kitchen is now one of the most prominent charities in the North East. The new vehicle will transport volunteers and food stocks to sites within the city where The Kitchen’s mobile catering unit operates on Sunday mornings (Elswick cemetery, Old Eldon Square) and Trafalgar Street on Monday and Thursday evenings. Entrepreneurs, Peter Razaq, Jed Iqbal and Ian Marley set the Kans and Kandy Group up 16 years ago with a focus to purchase branded health and beauty products from manufacturers around the world and sell them into the discount sector in the UK, Europe and further afield. Managing Director Ian Marley said; “ As a group we have always believed in supporting both our local community and those less fortunate than us around the world. 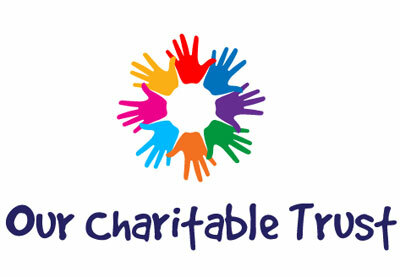 We have always given 10% of our net profits to the Kans and Kandy Charitable Trust and have supported projects as far reaching as India, Africa, Pakistan and Peru. “However, we all from the North East and are proud to call this fabulous region home and in the past we have worked very closely with local charities such as Tiny Lives and Pathways 4 All. Trustee David Yellowley was delighted to receive the vehicle on behalf of The People’s Kitchen. We are extremely grateful to the 1,100 plus sources that donate to us every year. From large corporates to schools, churches and individuals, every donation matters.